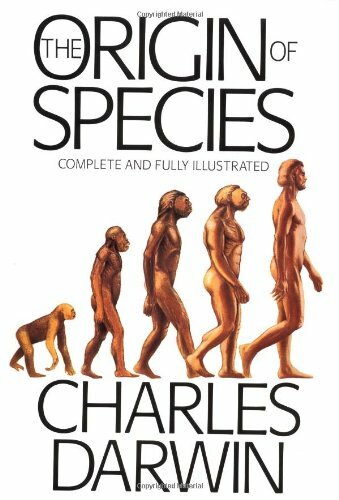 I was struck by the assumption made by the person who feels that the image of evolution used on this site makes the claim that evolution is always toward improvement. The image shows a succession of creatures getting taller and more erect; are we to assume that both of those definitely mean improvement? 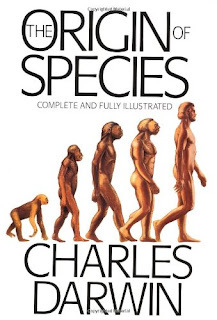 Are we also to assume that this image represents all evolution? I don't see why either assumption would be automatic. In addition, while it is true that the image ignores some of complexities of evolution, I think we need to be careful how much we expect from one image. The famous "I Heart New York" image doesn't include all those days when it's humid and the trains are crowded and someone hasn't bathed and maybe that day you just don't love New York. The Statue of Liberty represents an aspiration rather than an achievement. The images on the doors of women's bathrooms usually include skirts, which are worn by fewer and fewer women. Images are shorthand. Shorthand isn't perfect. As for the supposedly racist connotations of the image: Yes, it is true that people insult African-Americans by calling them gorillas and apes. This image is hardly to blame for that racist stupidity, which, I believe, predates the image by centuries! I think that an image, an idea, a book, an essay, a right, should be judged by its correct use, not by its misuse. Humans, gorillas, bonobos, and chimps did evolve from a shared ancestor. Humans do share many traits with gorillas, bonobos, and chimps. To deny these facts in a mistaken attempt to give racists less ammo seems silly to me--racists will always find ways to be racist. It is bad enough that they exist and do the damage they do; we shouldn't let them cause us to censor the truth too. Krystal, I am glad that you chose to stick by your brand. No one person, no one image, can please everyone, and the best you can do is tell/represent your truth to the best of your ability at any given moment. It's actually the best anyone can do.